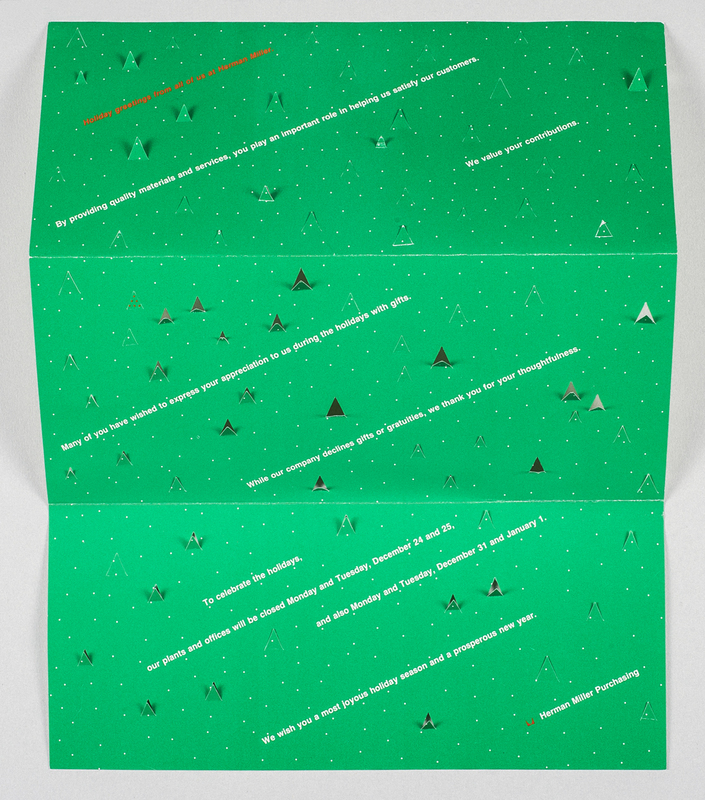 Annual holiday card sent to Herman Miller vendors. Size W 9" x H 4" Open: W 9" x H 12"
Techniques Offset printing, 2 spot colors. Diecut, scored, accordion folded.